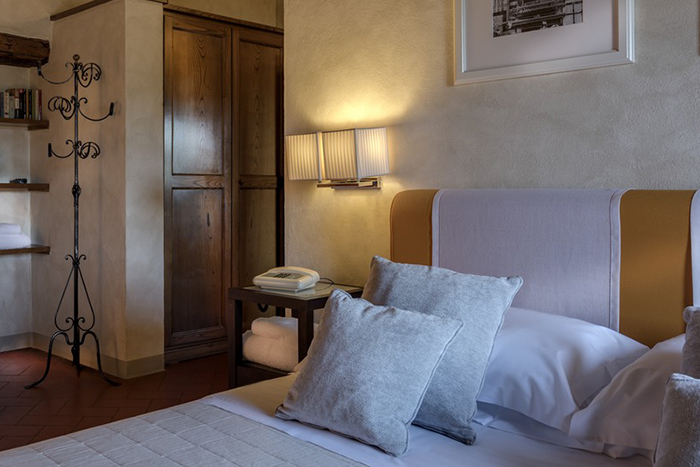 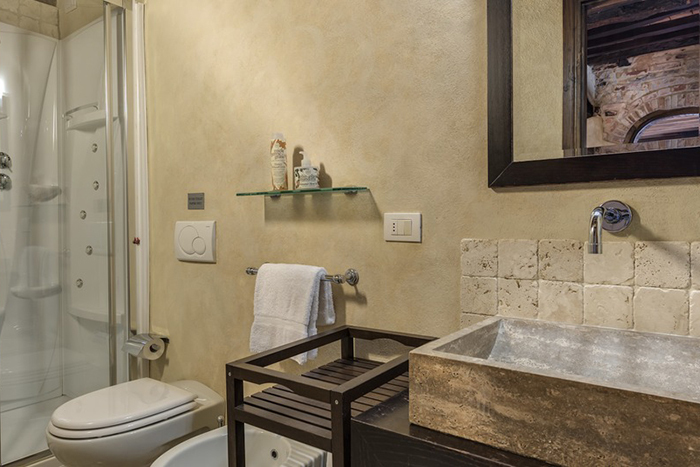 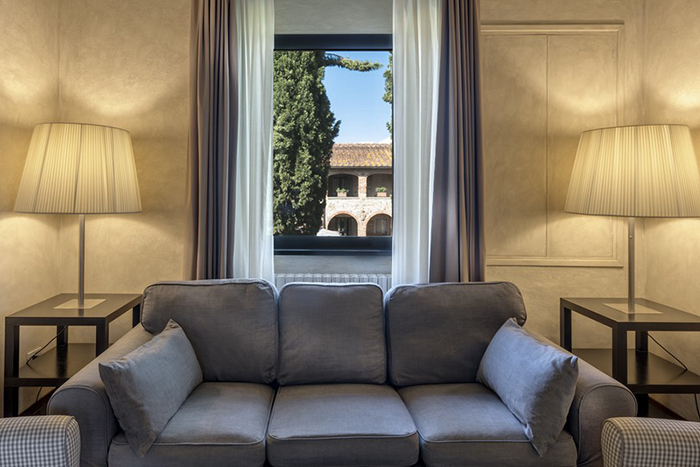 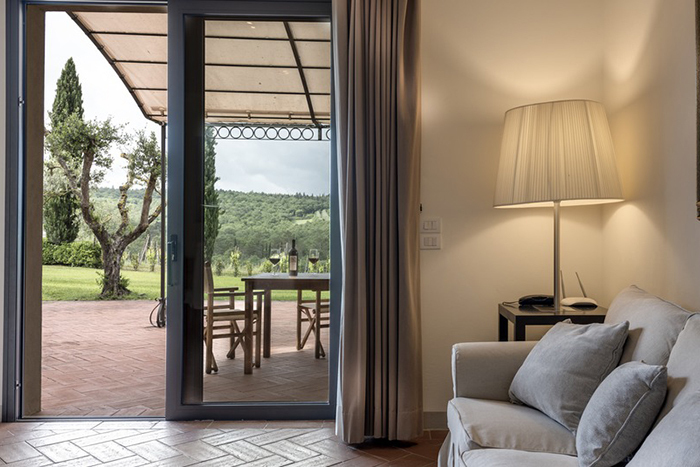 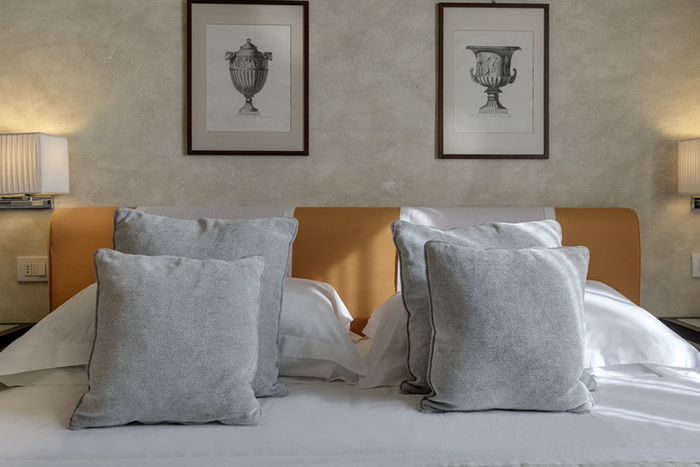 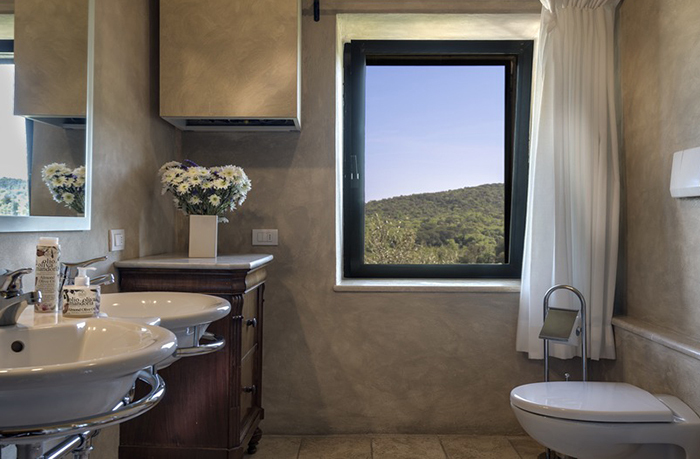 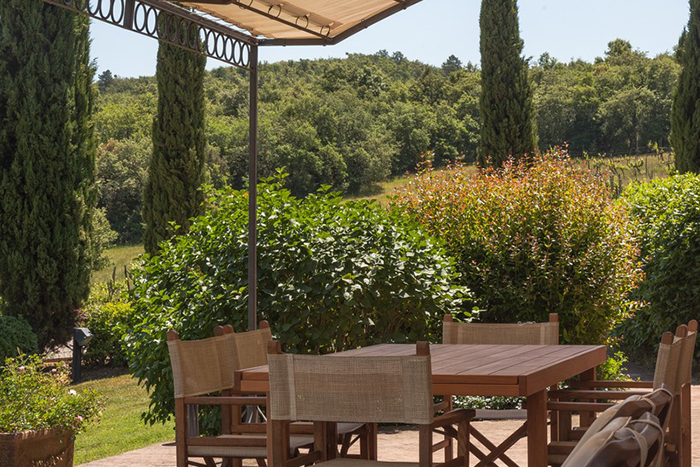 Borgo Campagna is a tiny hamlet located in the open countryside with fabulous views all around to hilltop villages, woods, vineyards, olive groves and rolling hills. 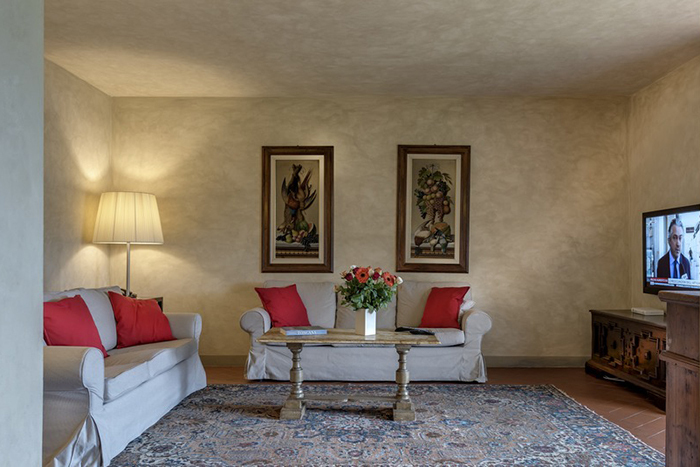 It has been restored with great care and furnished to a high standard. 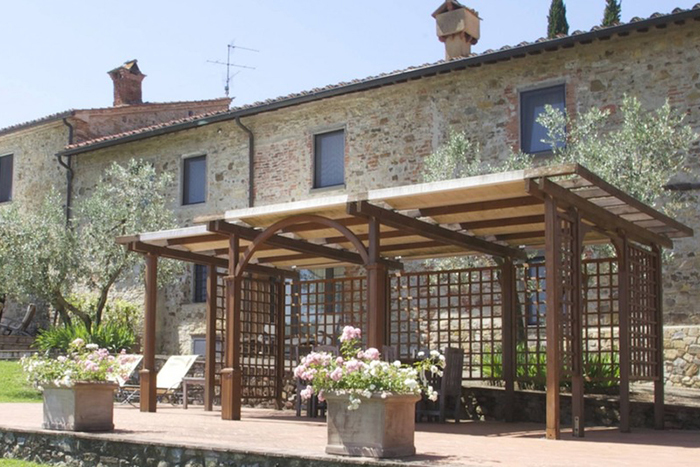 It is only 5 mins from a small local town, where there are several local shops and a small supermarket. 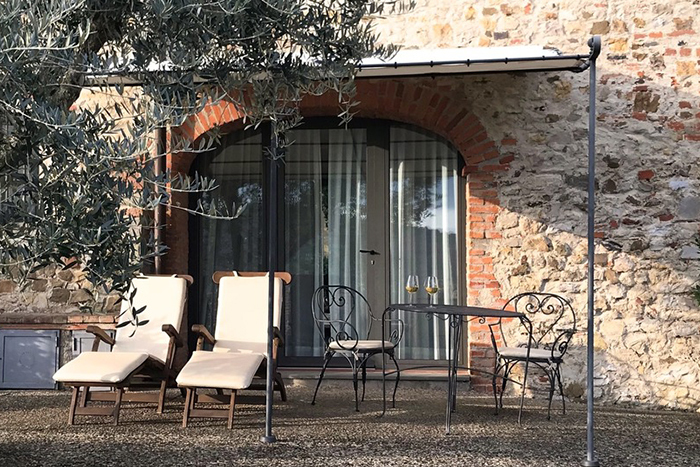 Borgo Campagna is a great base for exploring the local area with its many tiny hilltop villages, some of which have medieval castles and nearby Arezzo (30 mins). 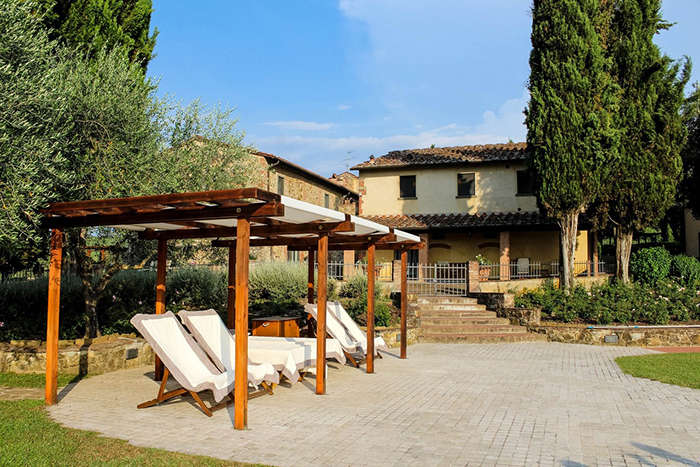 The larger cities of Florence (50 mins) and Siena (45 mins) are also within easy reach as well as a spa town where you can spend a relaxing day at the outdoor pools. 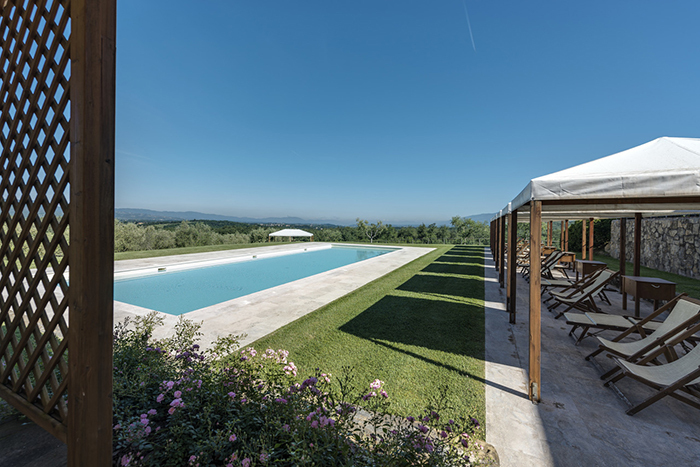 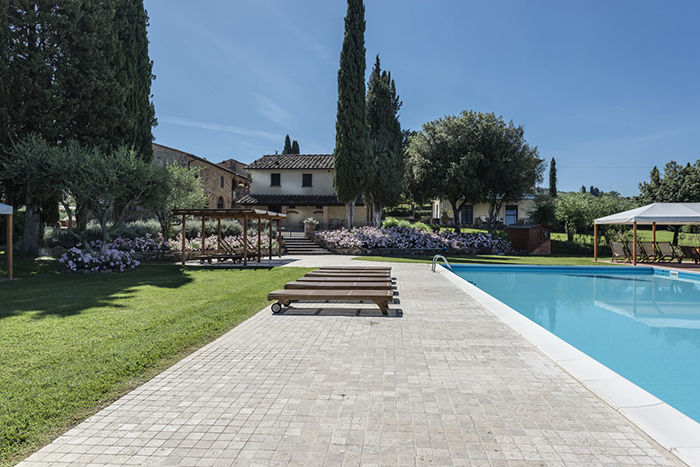 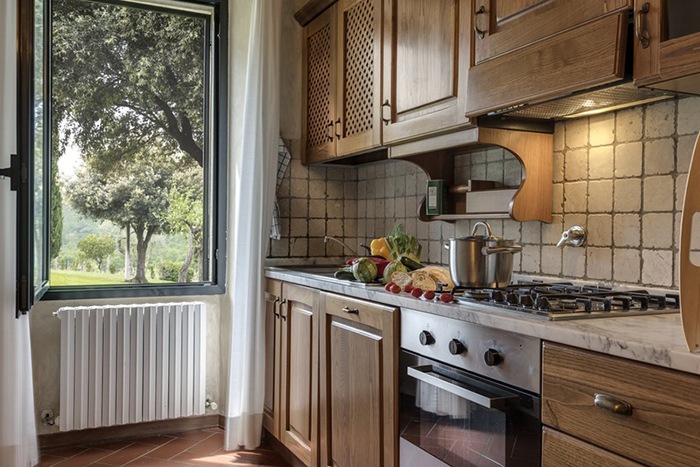 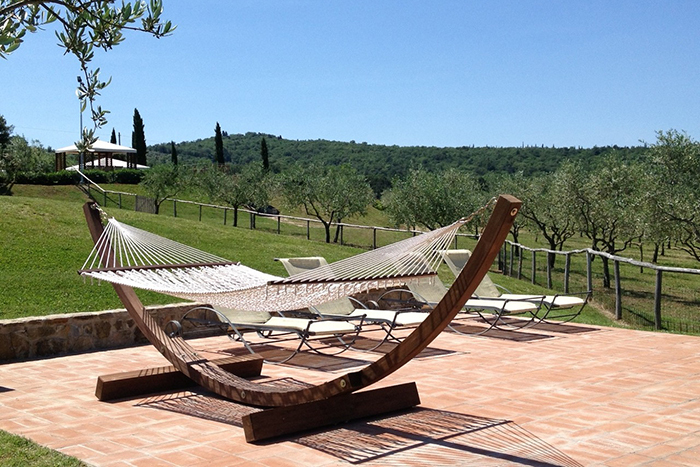 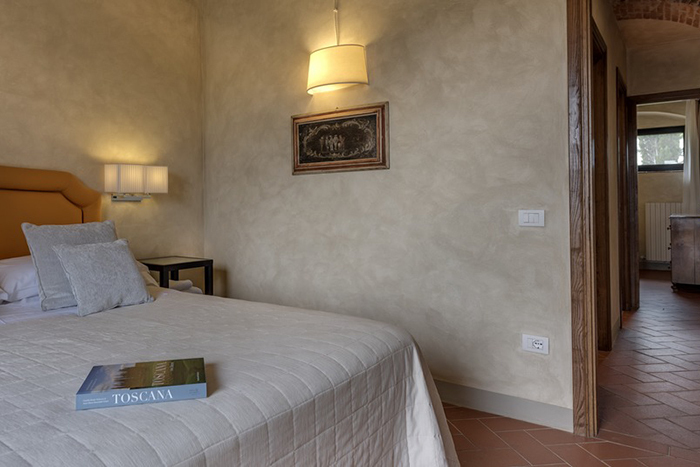 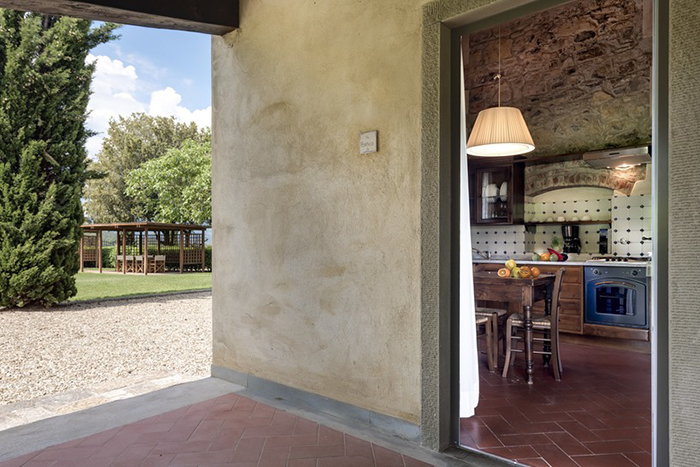 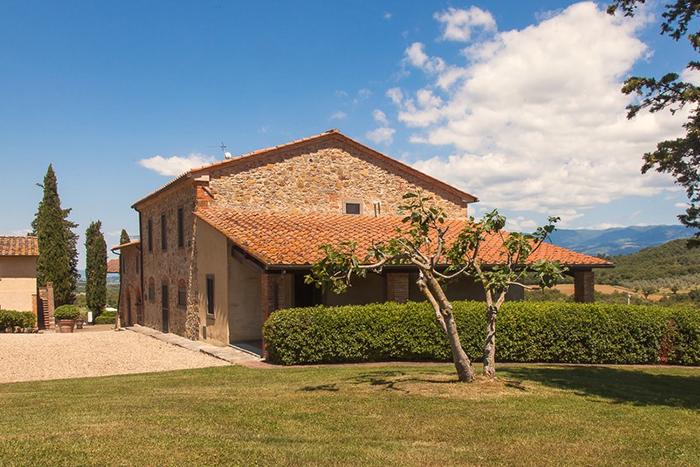 Borgo Campagna is a perfect location if you want a quiet, peaceful country location with large grounds, the use of 2 large pools with fabulous views and the convenience of a restaurant and wine bar on location. 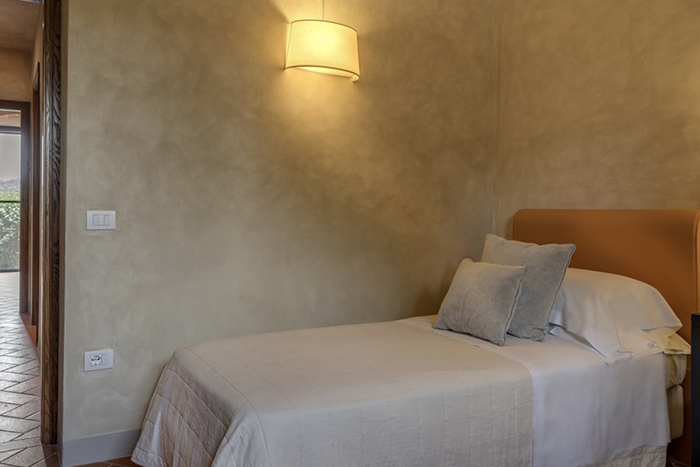 Meeting room available for yoga, weddings, meetings - prices on request. 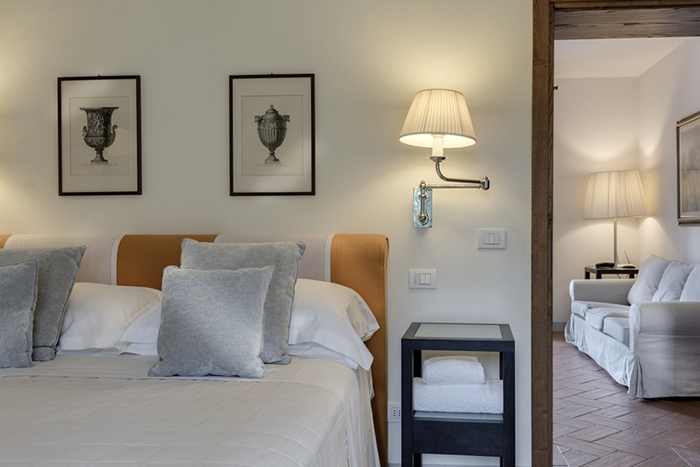 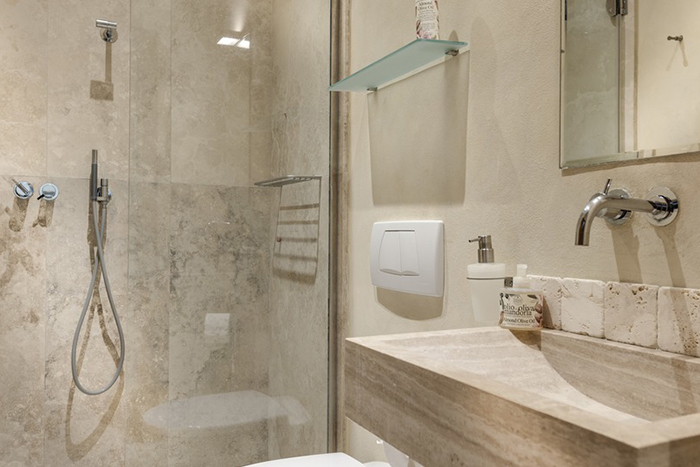 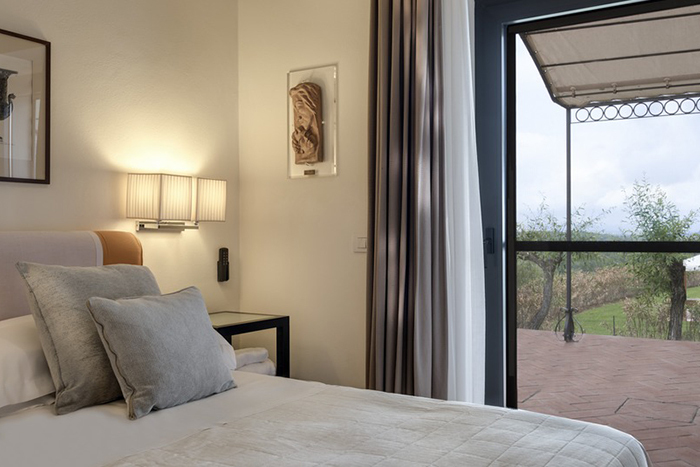 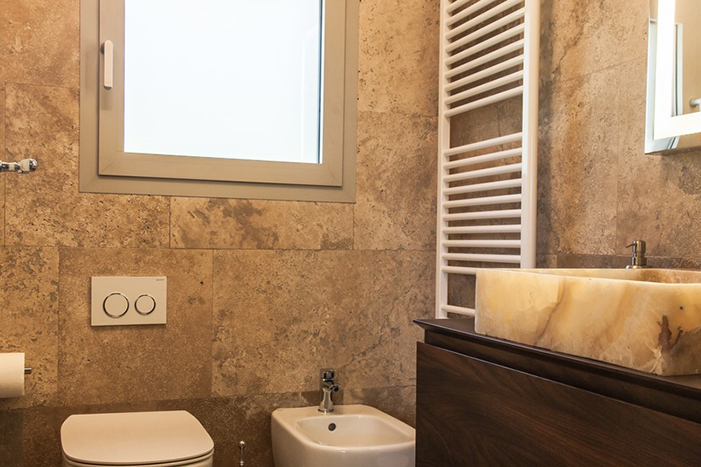 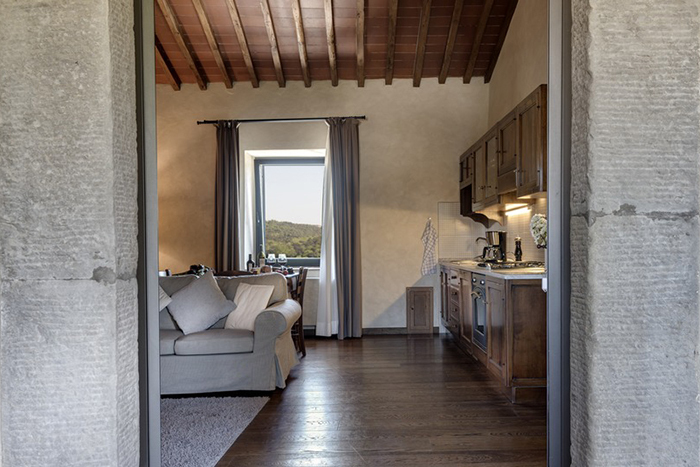 Security Deposit: €200 for apartments Portico and Camino, Legnaia, Archi, Cipresso, Loggiato, €250 for apartments Belvedere and Lecci, Olivi, Tinaia and Fattore, which is payable in cash on arrival and refunded on departure. 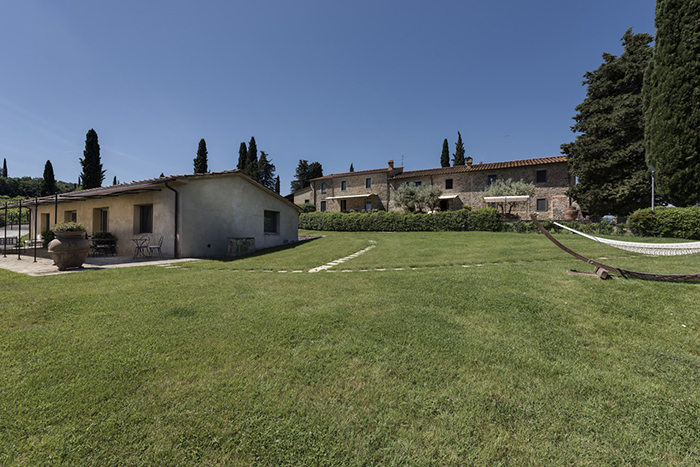 Borgo Campagna is made up of several buildings around a central garden area. 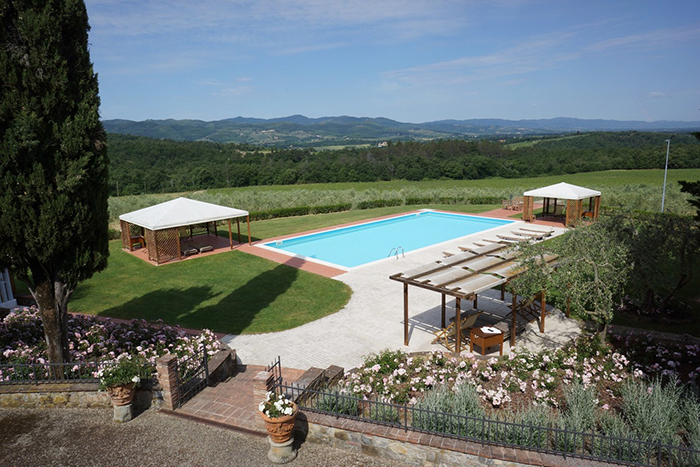 The garden also extends around the side of the property and pool area. 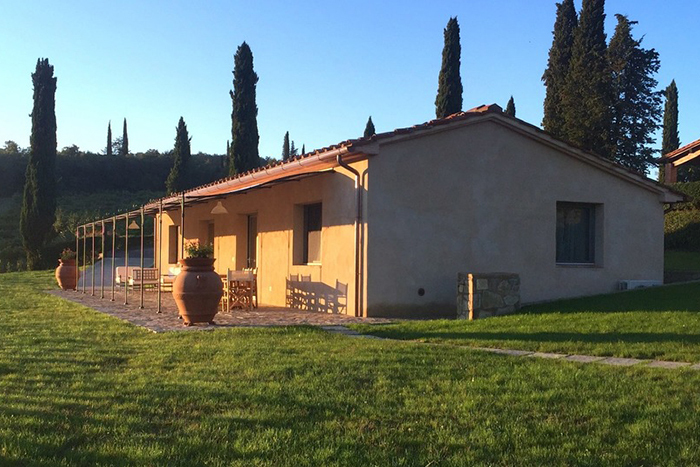 It then leads into the estate vineyards and olive groves. 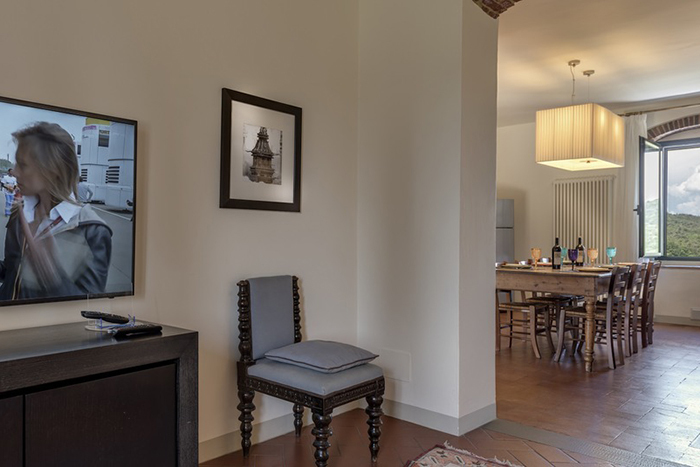 There are 11 apartments of different sizes all of which have their own terrace area with tables and chairs and they all have a phone and satellite TV. 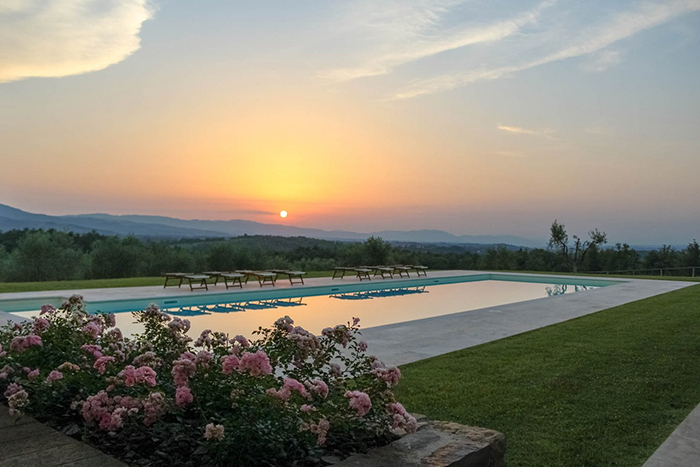 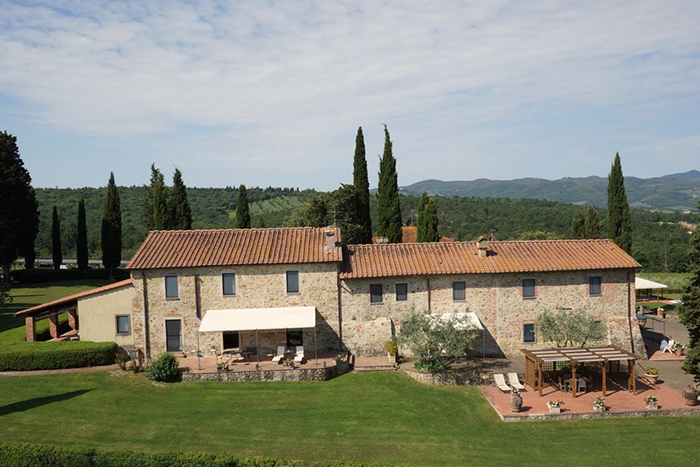 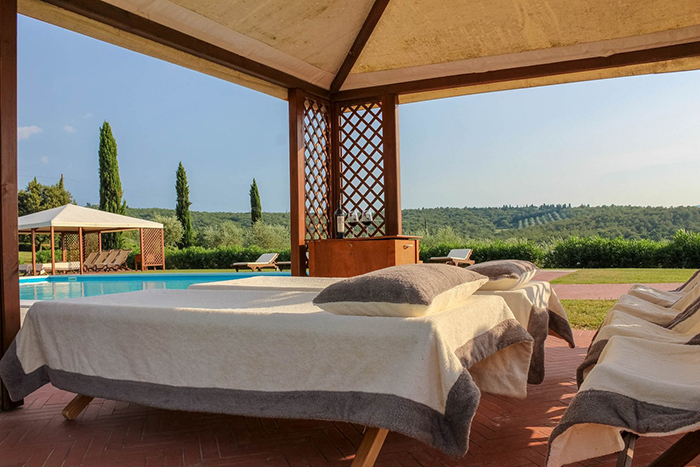 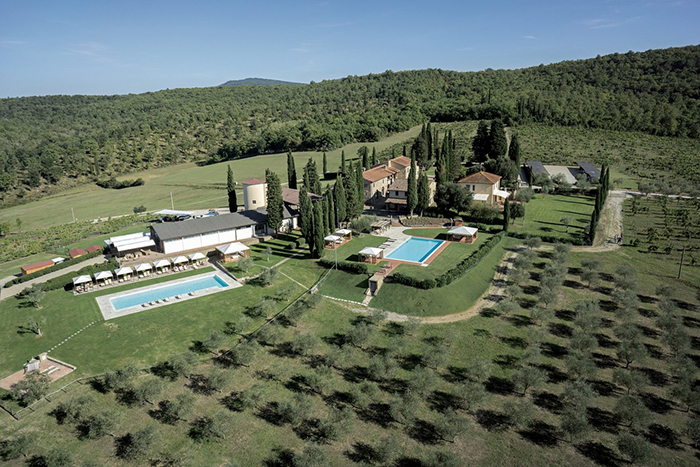 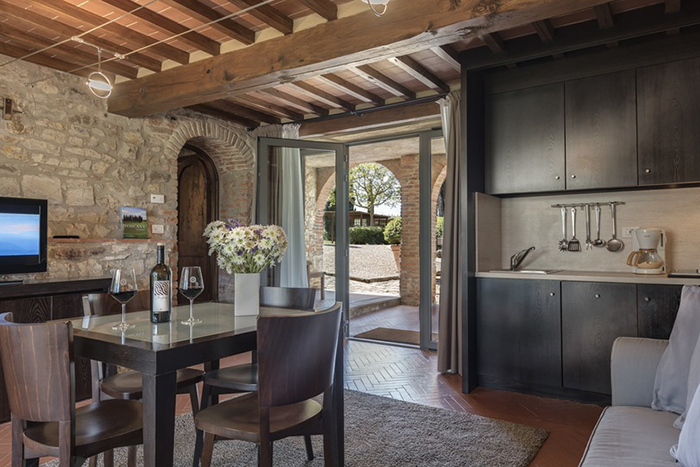 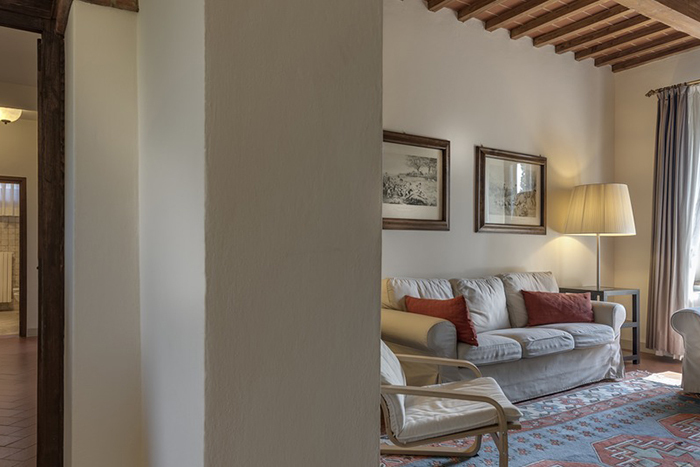 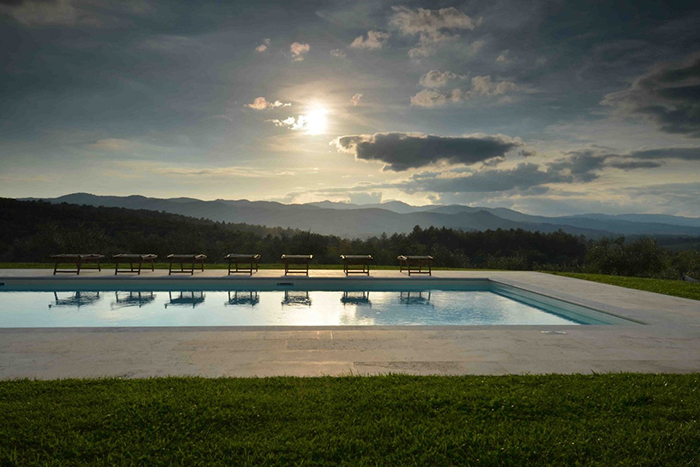 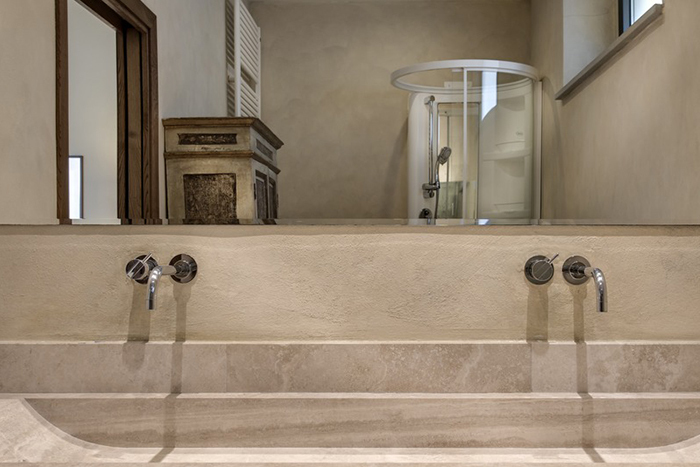 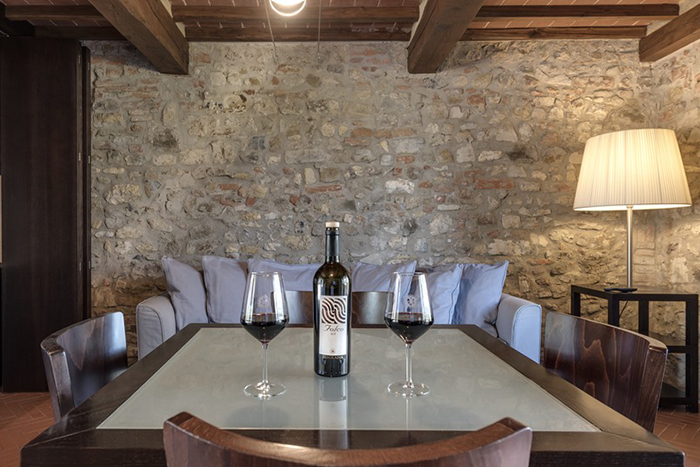 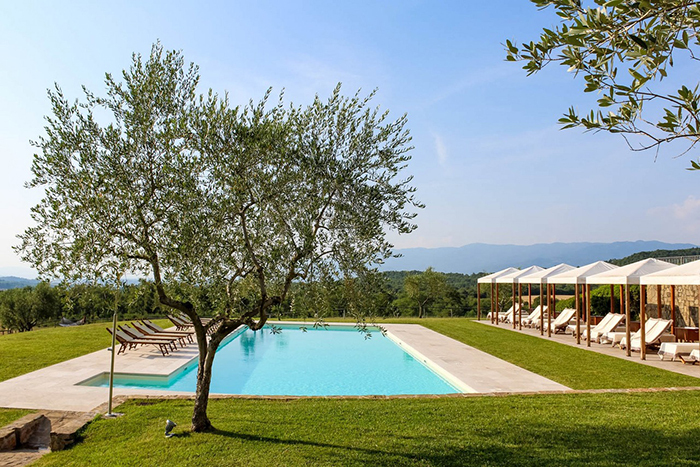 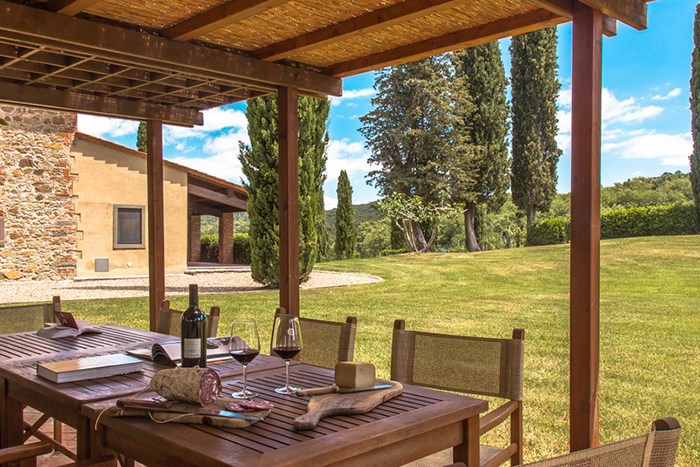 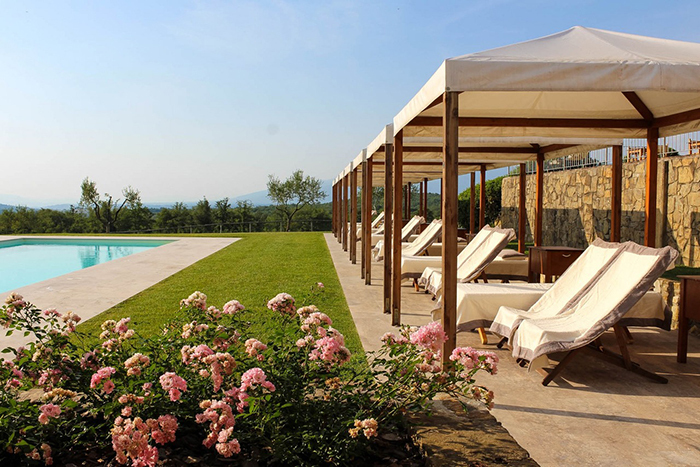 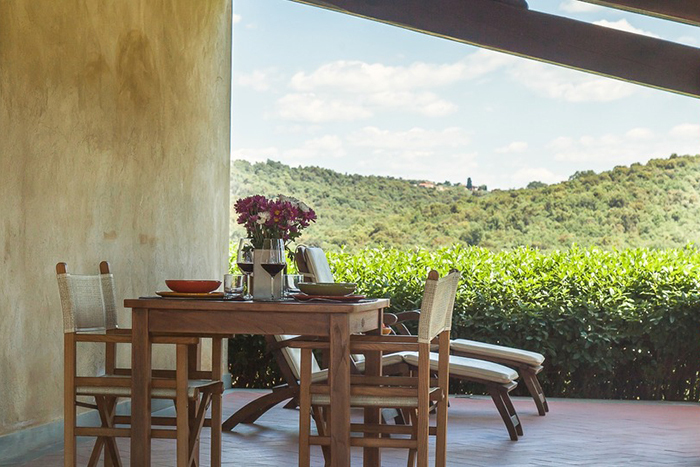 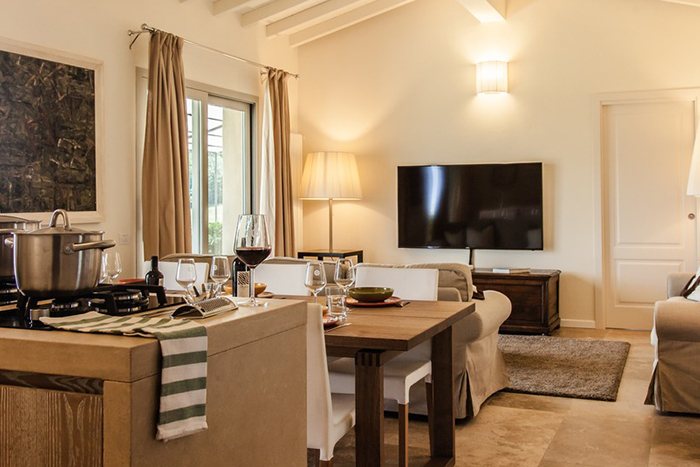 The property is set in a very large estate of well-tended vineyards and olive groves used to produce the top class estate wines, which include 3 reds, a white chardonnay and a traditional Tuscan “Vin Santo” (sweet dessert wine). 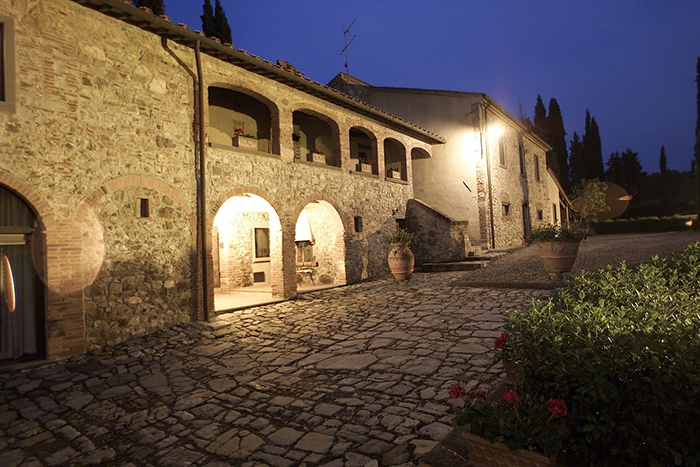 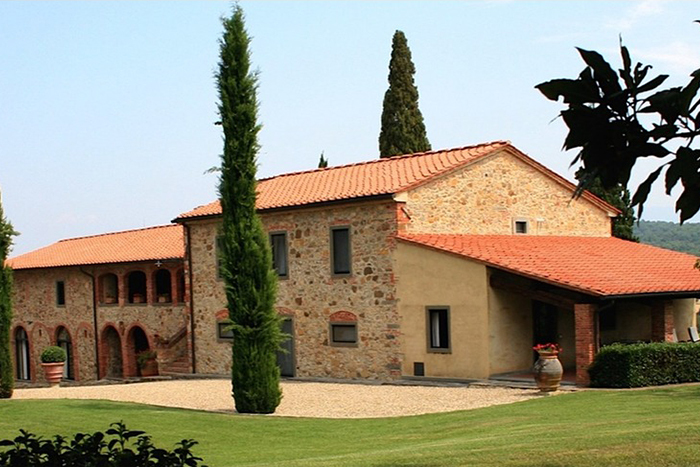 The Borgo Campagna estate also produces olive oil and honey, which can all be purchased and /or tasted at the reception and wine bar. 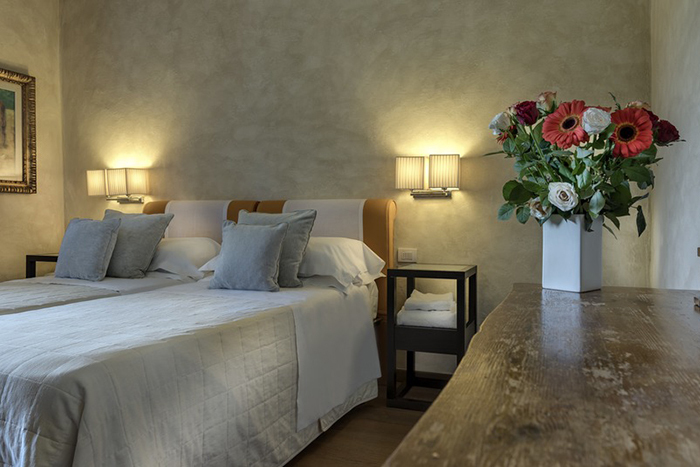 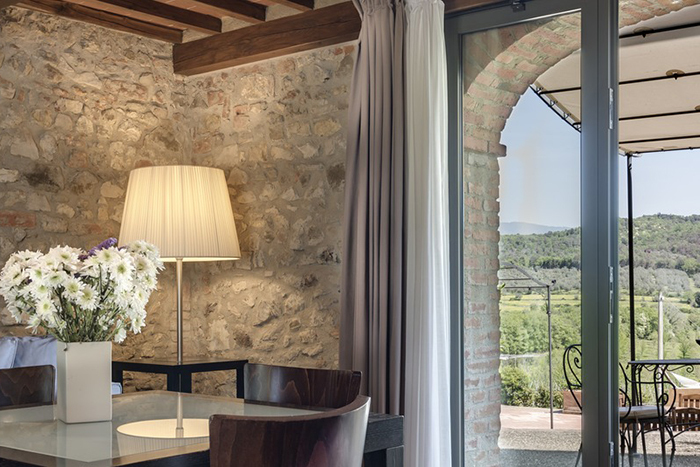 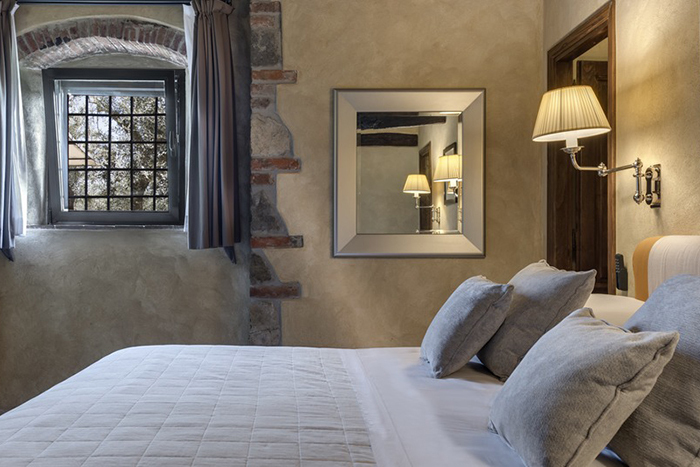 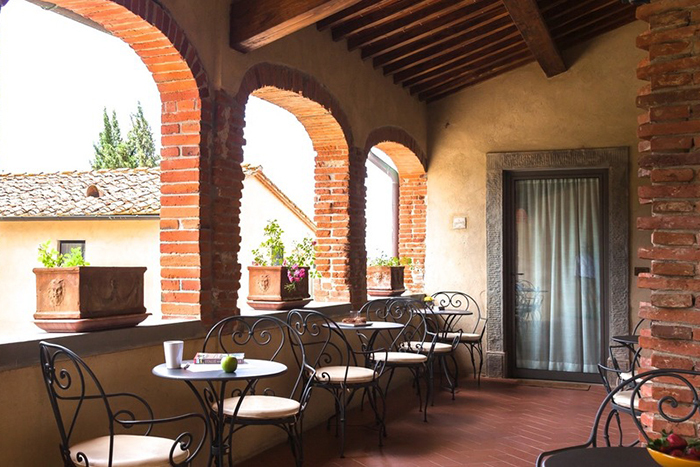 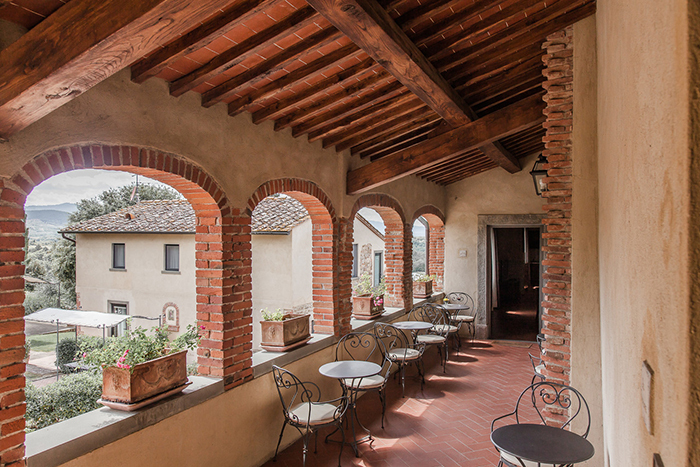 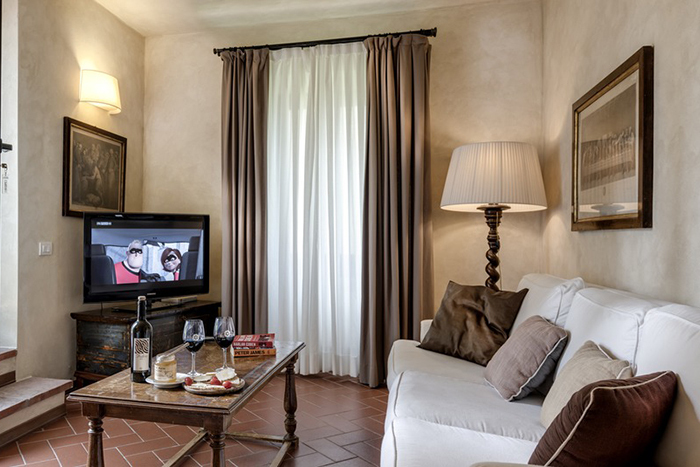 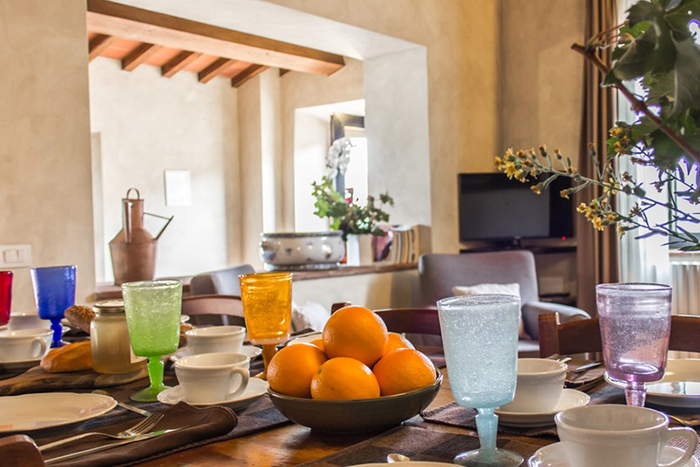 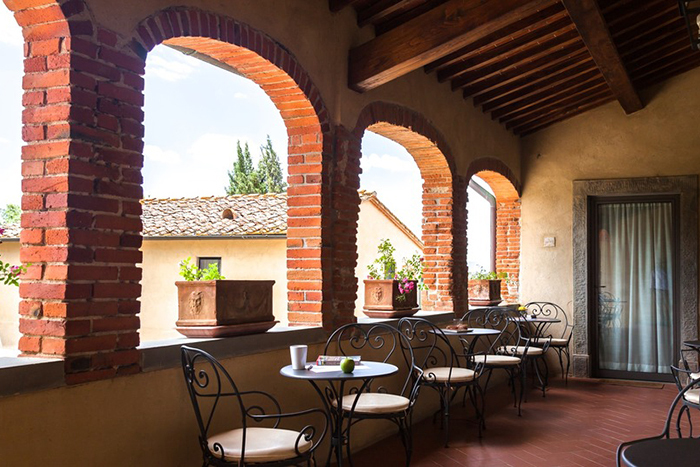 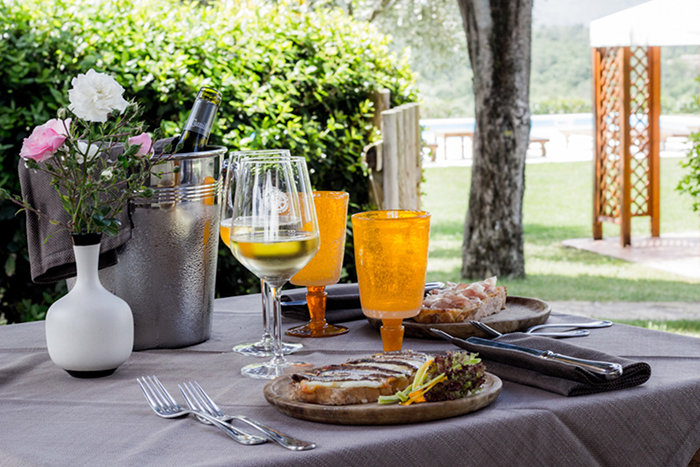 The stylish wine bar & restaurant can offer breakfast, lunch or dinner to guests staying at Borgo Campagna on request. 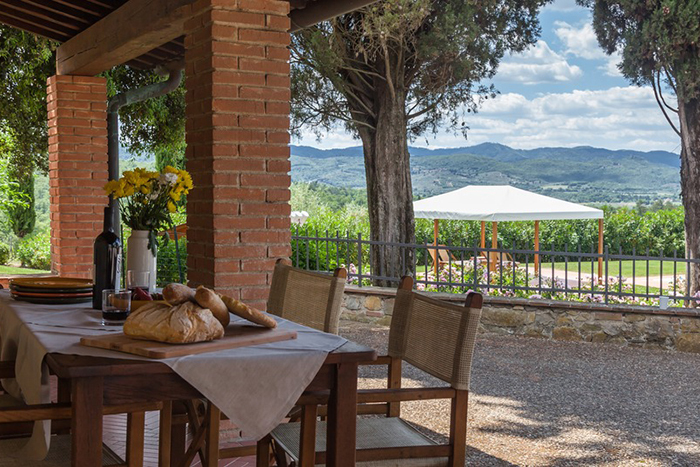 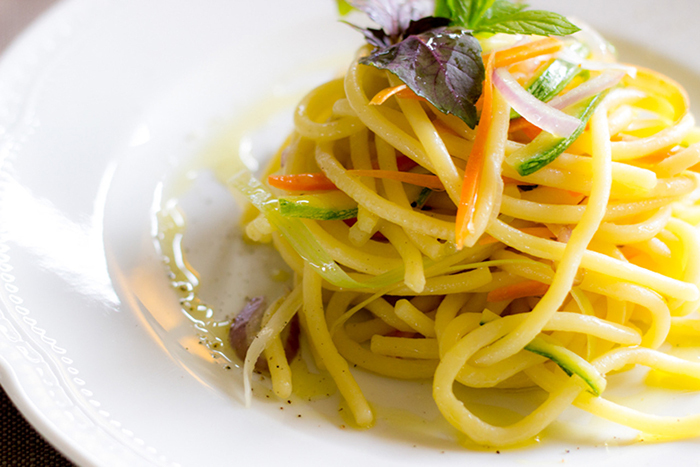 If you want to try your hand at some tasty Tuscan dishes, cookery lessons are also available on site with their in house chef. 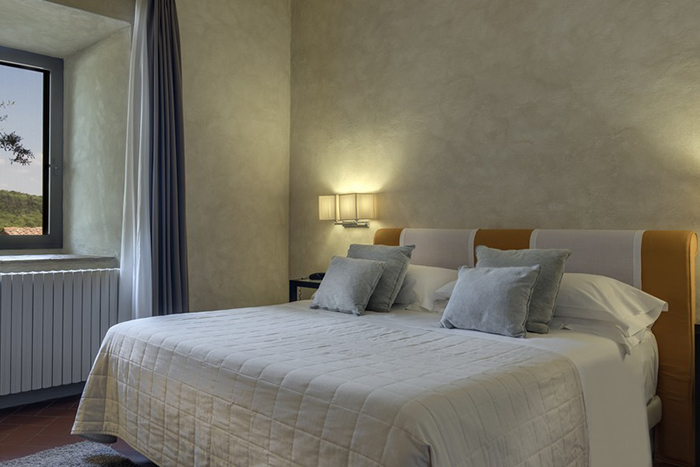 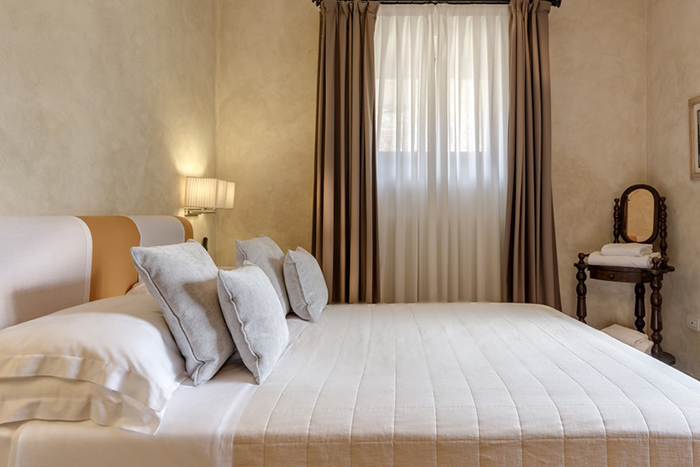 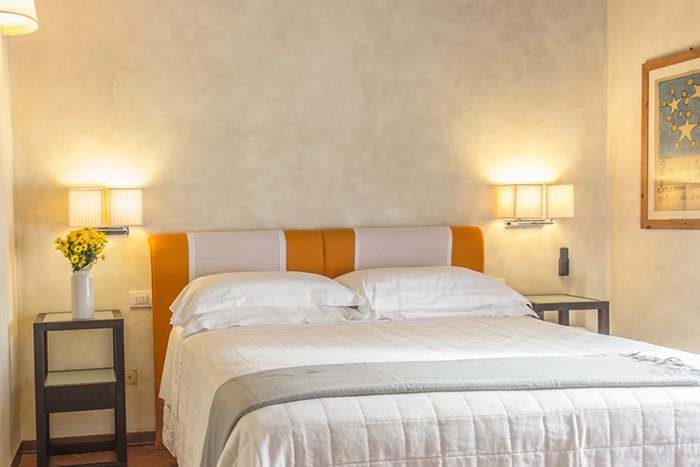 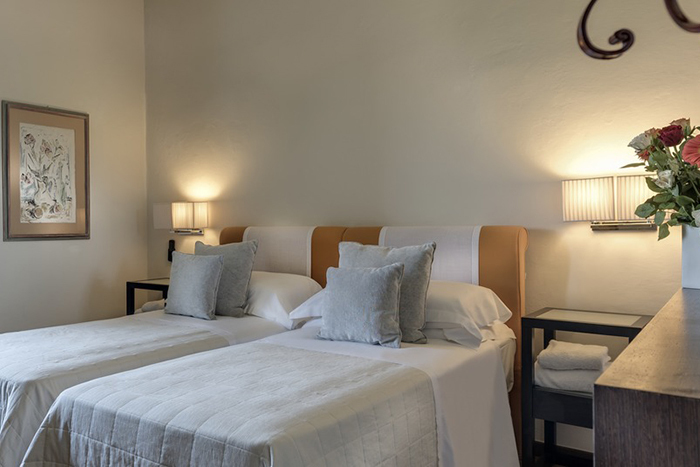 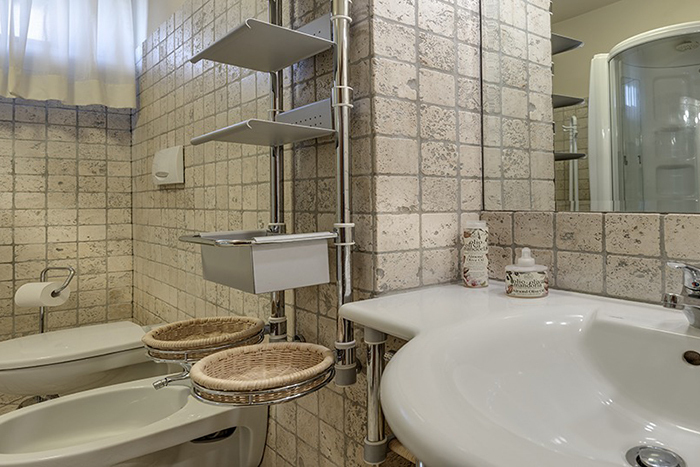 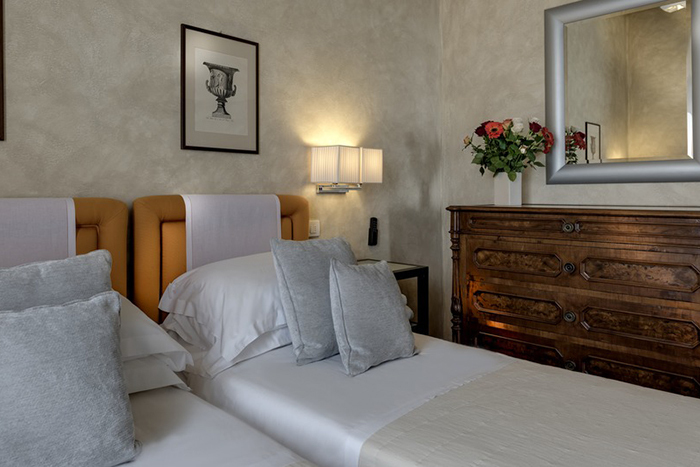 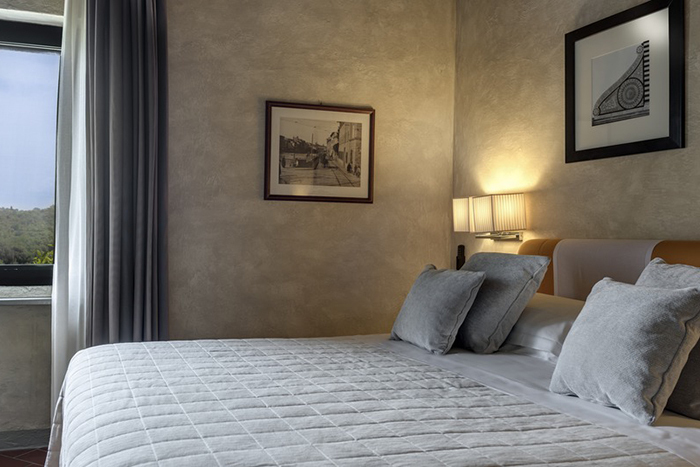 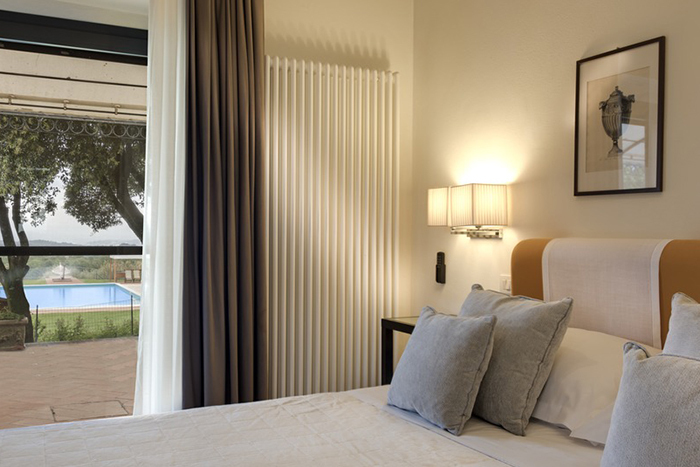 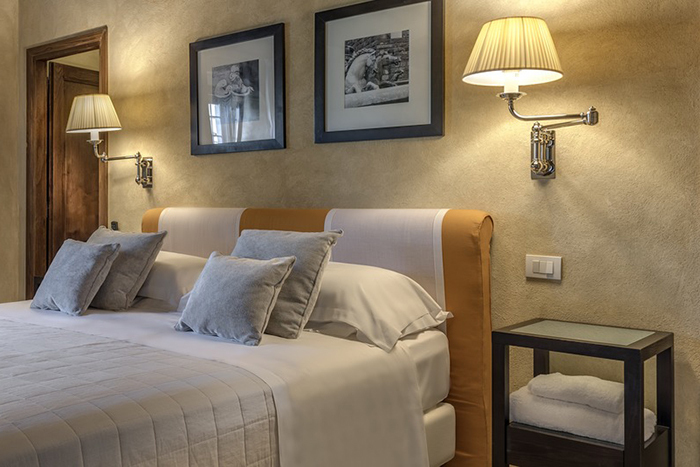 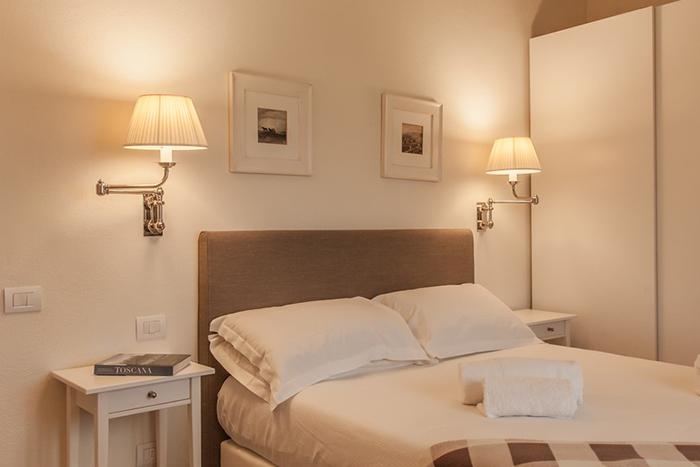 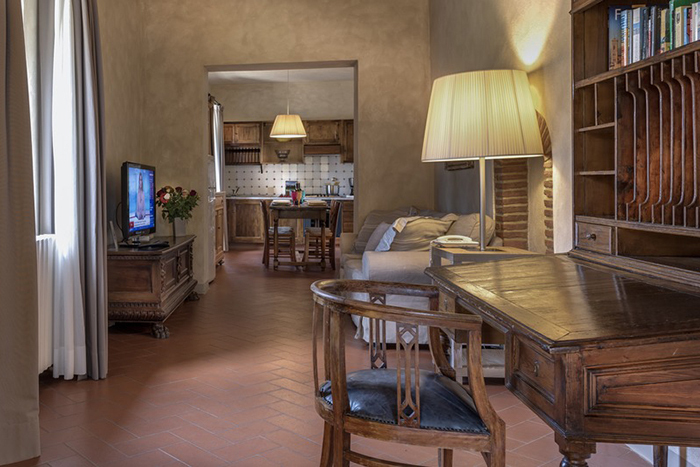 The apartments are well equipped and have been furnished very elegantly with some antique pieces. 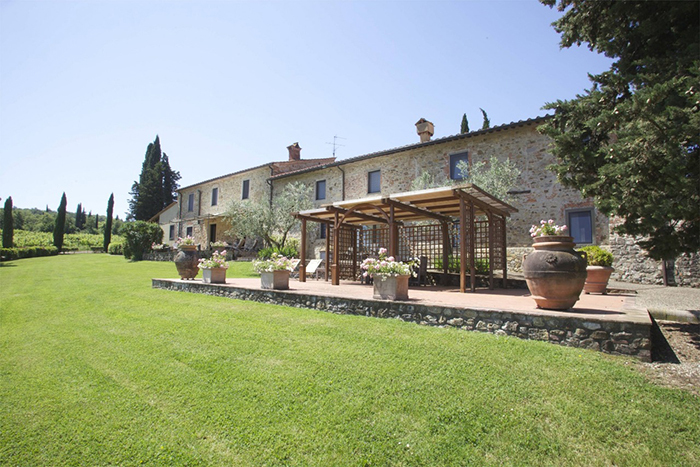 The whole property is exceptionally well kept. 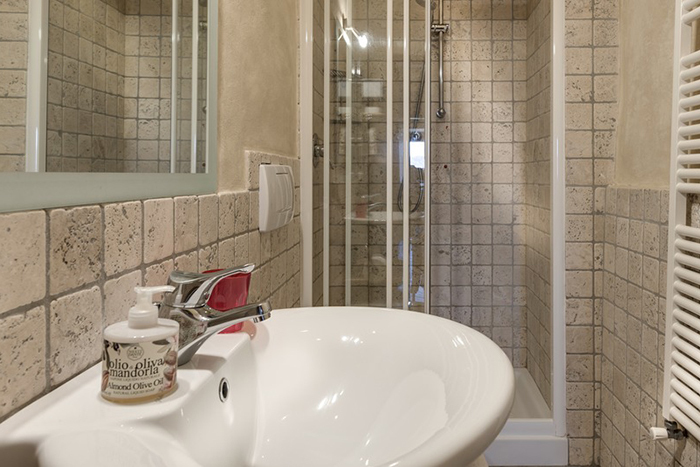 A ground floor apartment with living room/ kitchen, one bedroom, bathroom with shower. 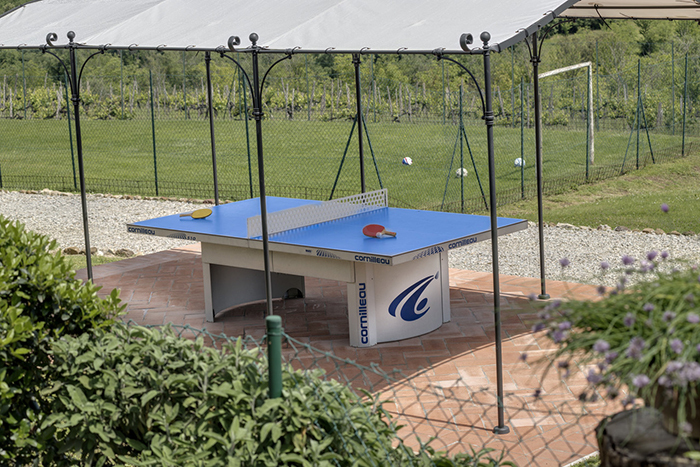 Own terrace with table and chairs. 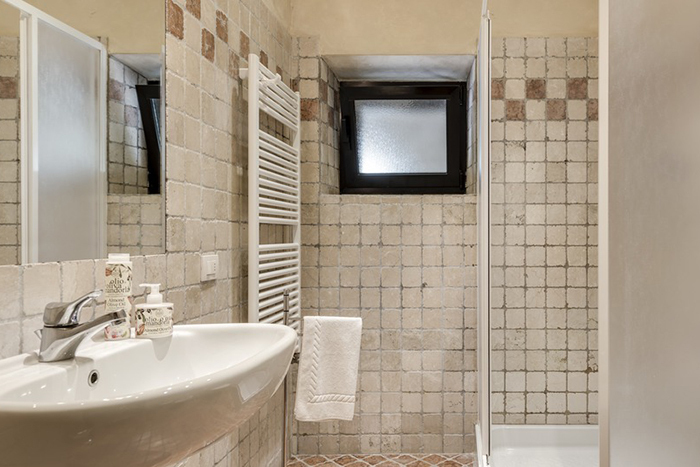 A first floor apartment with living room/ kitchen, one bedroom, large bathroom with shower. 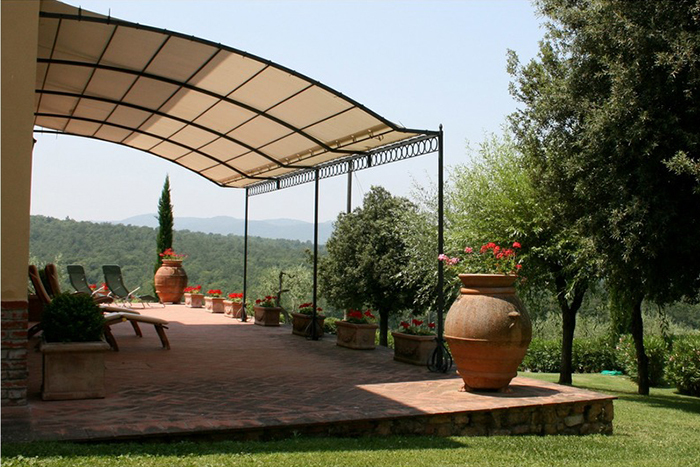 Covered portico with table and chairs. 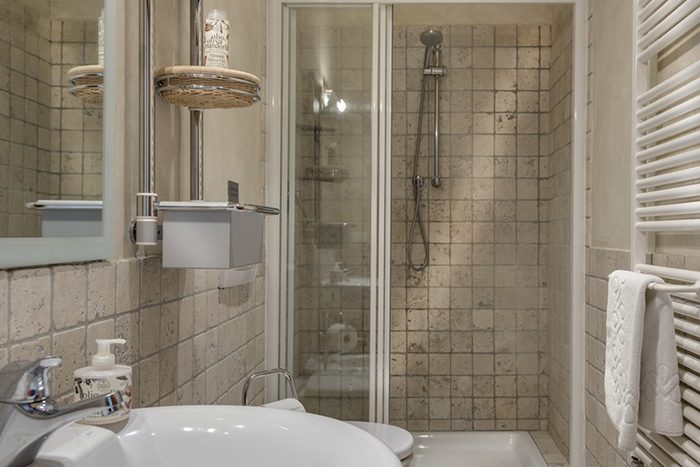 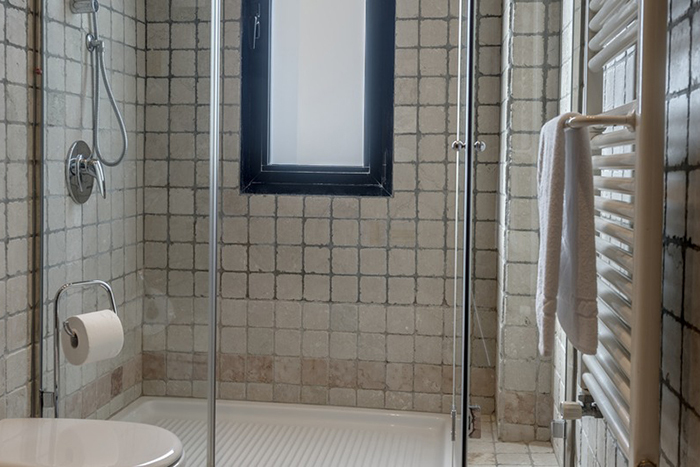 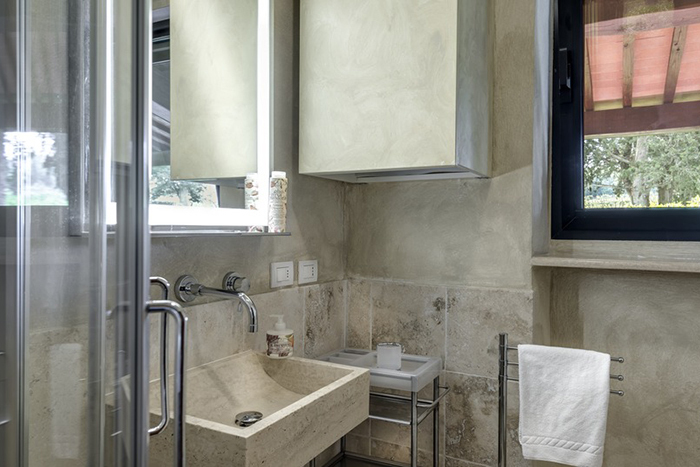 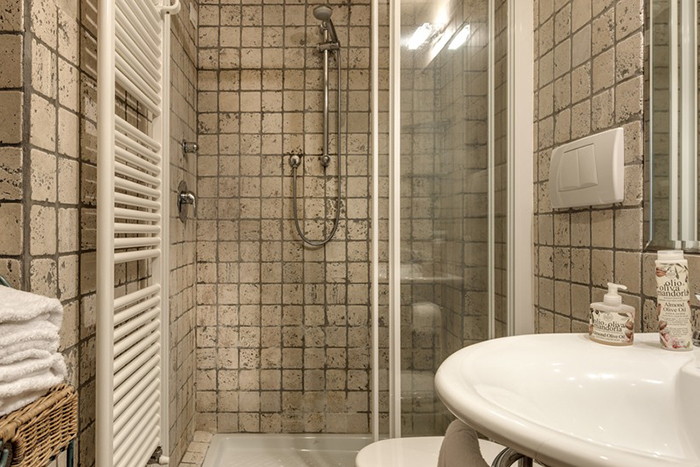 A ground floor apartment with a small living room/ kitchen, one bedroom, bathroom with shower. 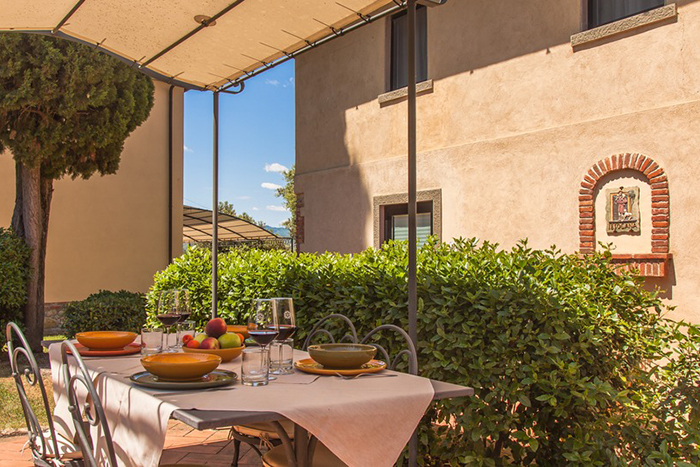 Own terrace with table and chairs. 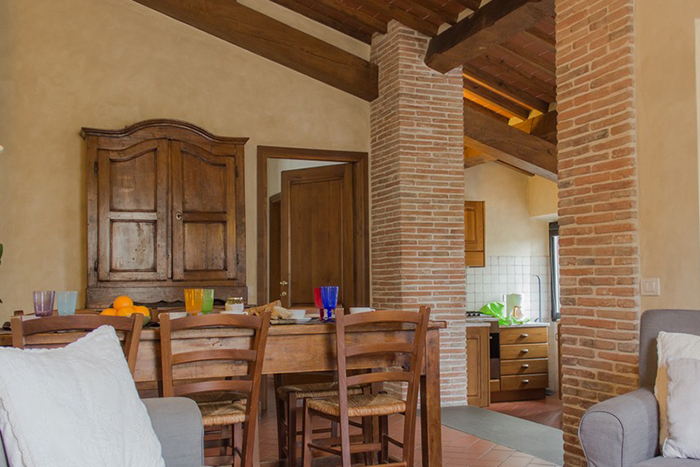 A first floor apartment with living room, kitchen, two bedrooms, two bathrooms with shower, covered portico with outside table and chairs. 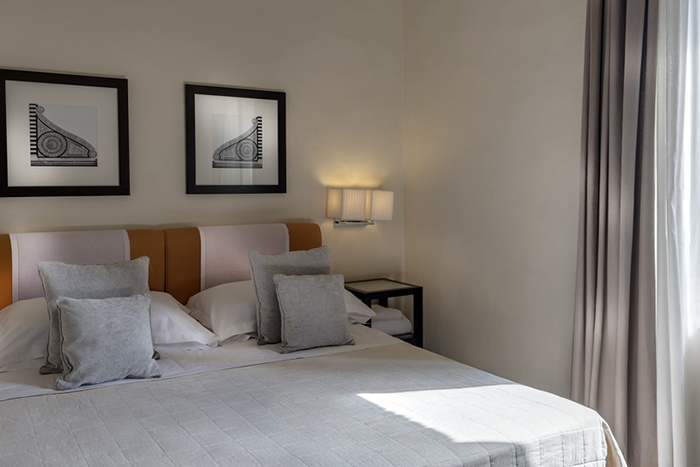 A ground floor apartment with living room, kitchen, one double bedroom and one twin bedroom, two bathrooms with shower, terrace with outside table and chairs overlooking the pool and restaurant. 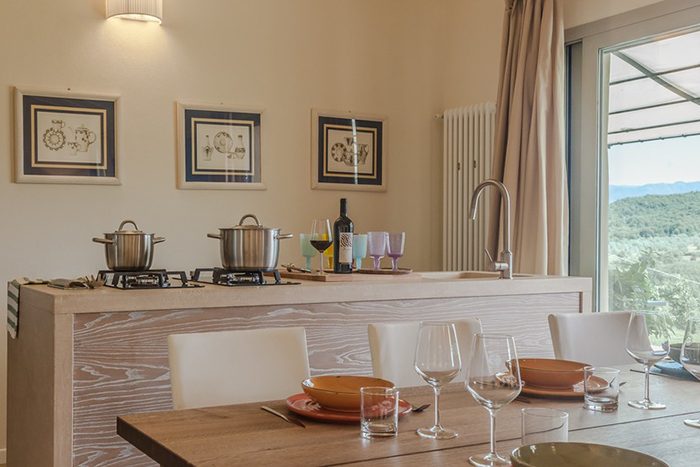 A ground floor apartment with living room, kitchen, two bedrooms, two bathrooms with shower, terrace with outside table and chairs overlooking the pool. 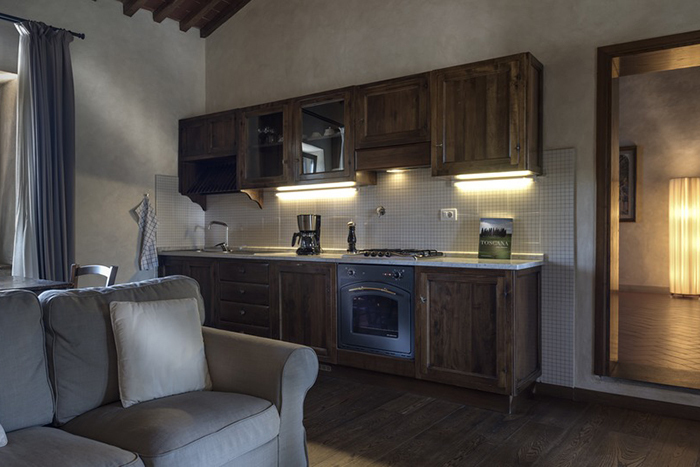 A first floor apartment with living room, kitchen, three bedrooms, two bathrooms with bathtub / shower, covered terrace with outside table and chairs. 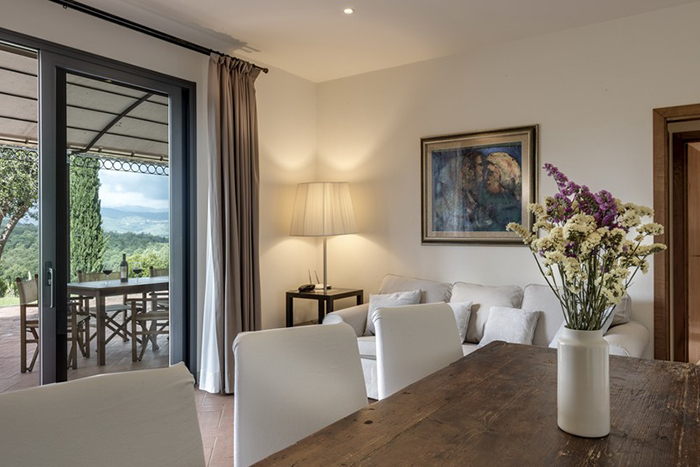 A first floor apartment with large living room/dining room, kitchen, three bedrooms, two bathrooms with shower, terrace with table and chairs overlooking the garden. 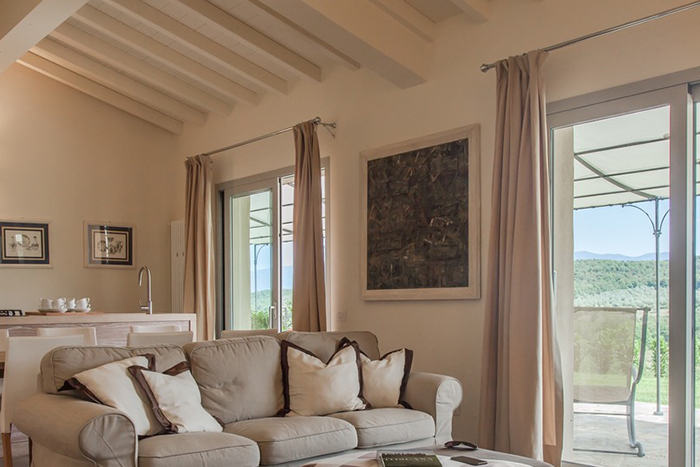 A ground floor apartment with living room, kitchen, three bedrooms, two bathrooms one with one bathtub, terrace with table and chairs overlooking the swimming pool and vineyard. 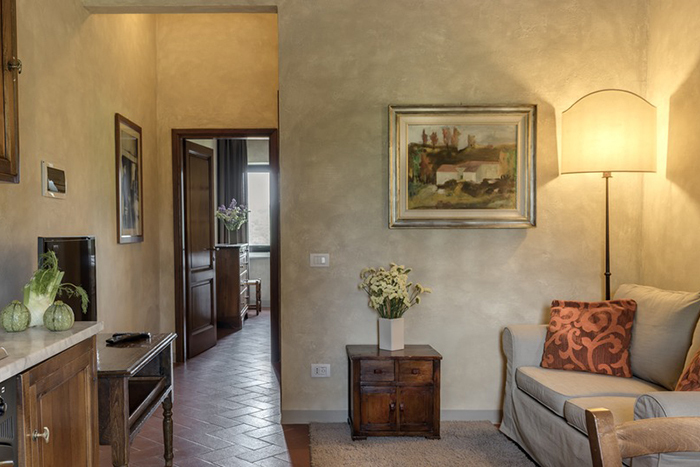 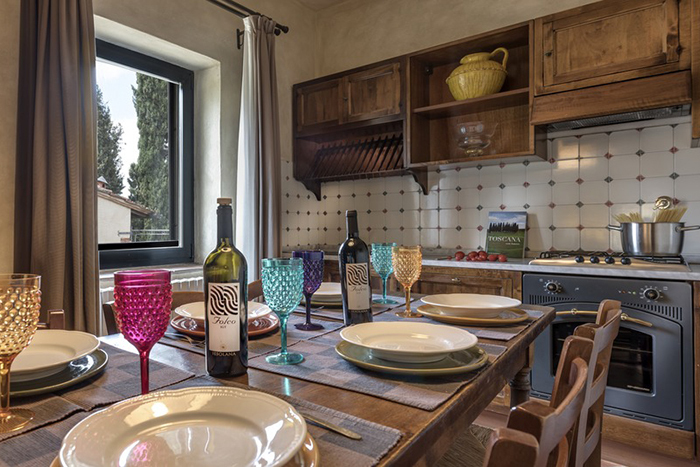 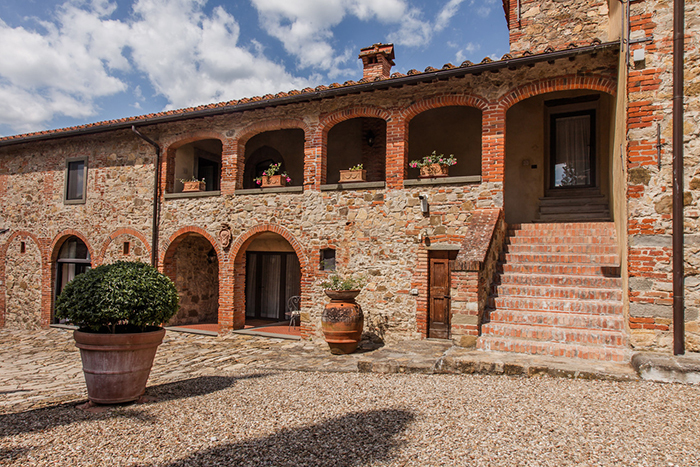 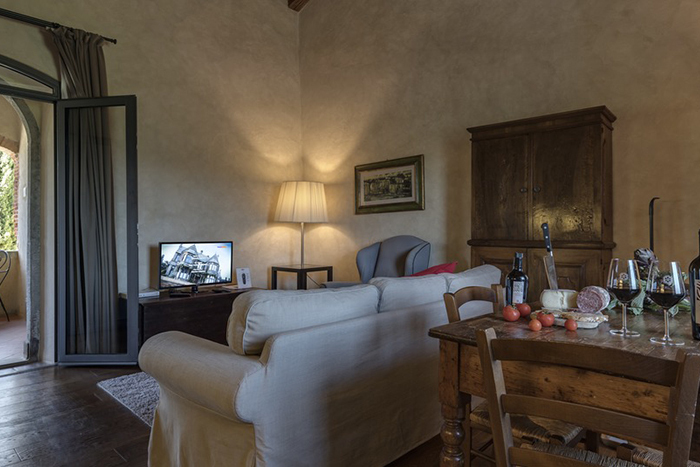 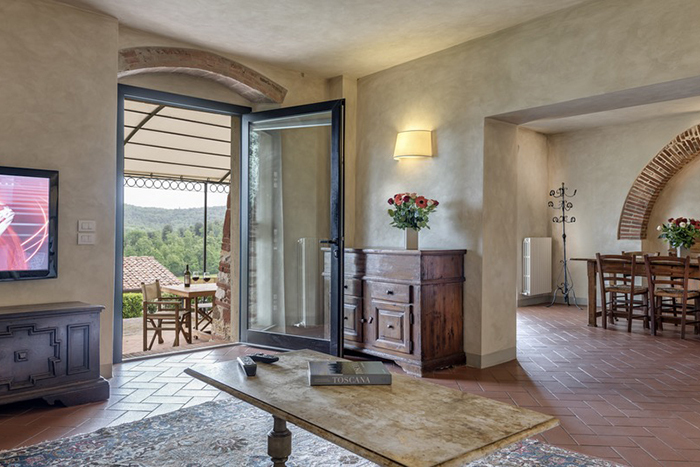 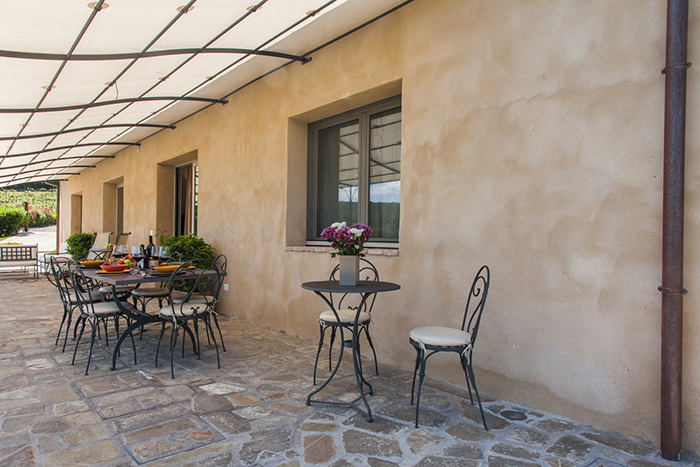 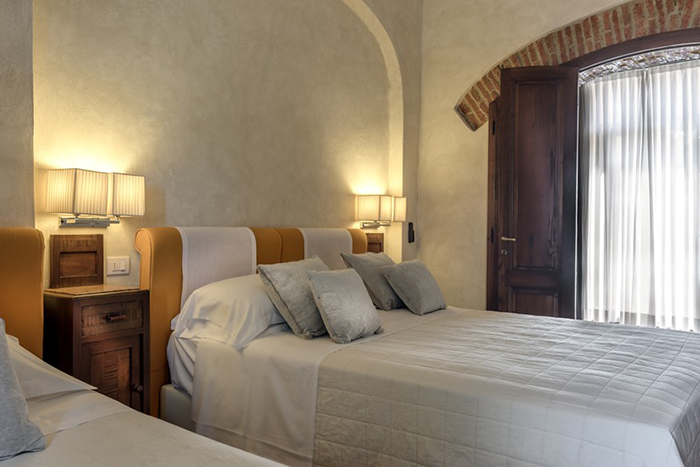 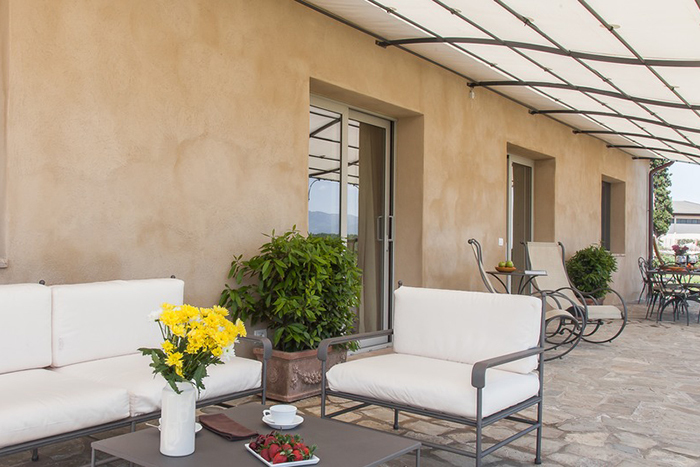 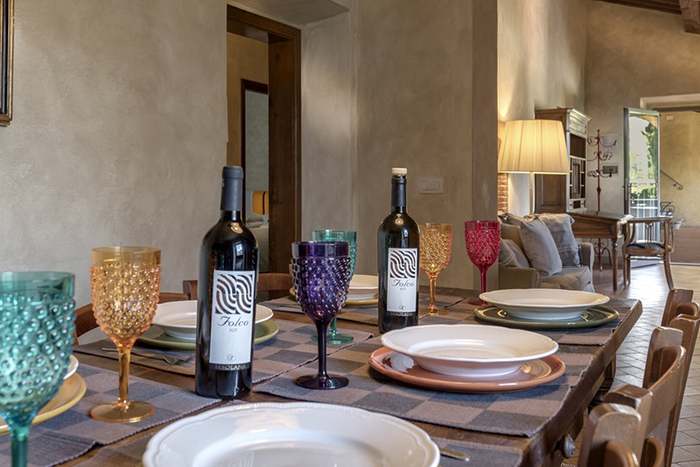 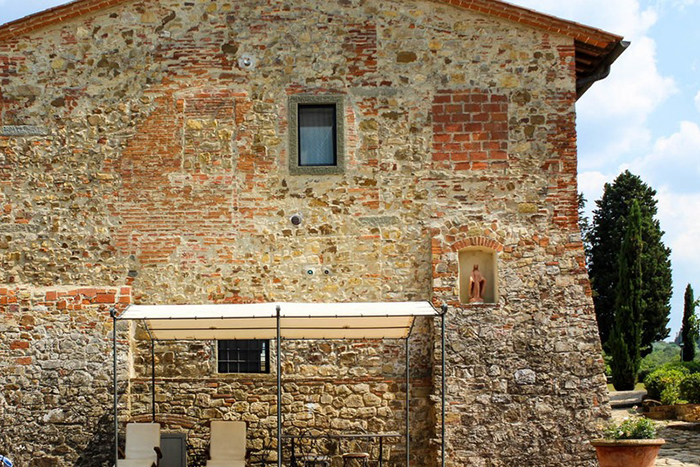 A first floor apartment with large living room, kitchen, four bedrooms, three bathrooms one with one bathtub, terrace with table and chairs overlooking the Tuscan hills and vineyard. 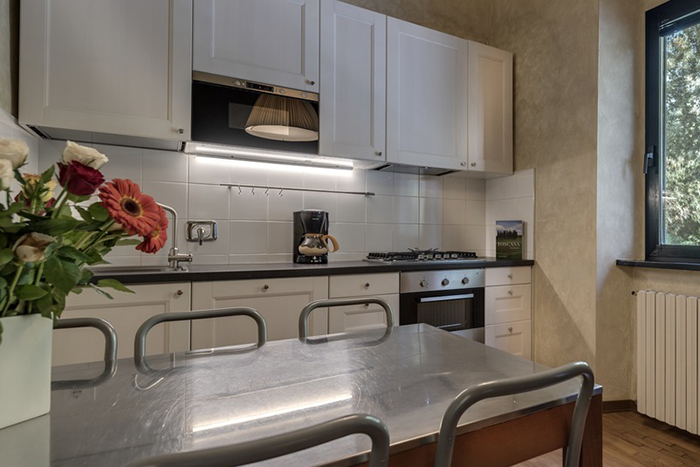 A ground floor apartment with large living room, large kitchen with dishwasher, four bedrooms, three bathrooms with one hydromassge bathtub and two with showers, terrace with table and chairs overlooking the garden. 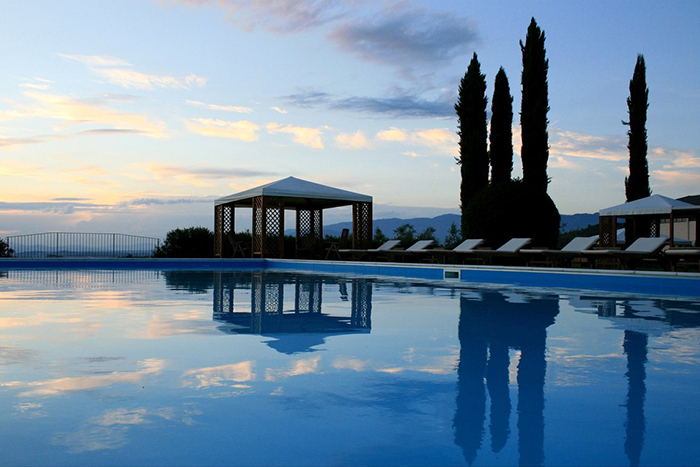 The property has 2 large pools; one is 8 x 17 mts the other is 7 x 20 mts. 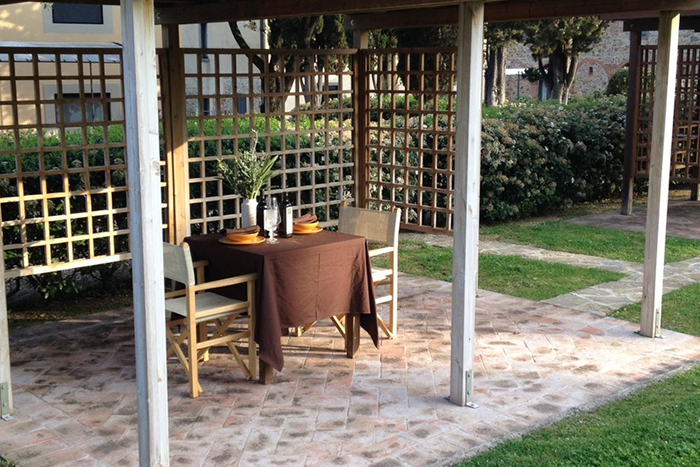 Each apartment has a gazebo at the poolside and chairs. 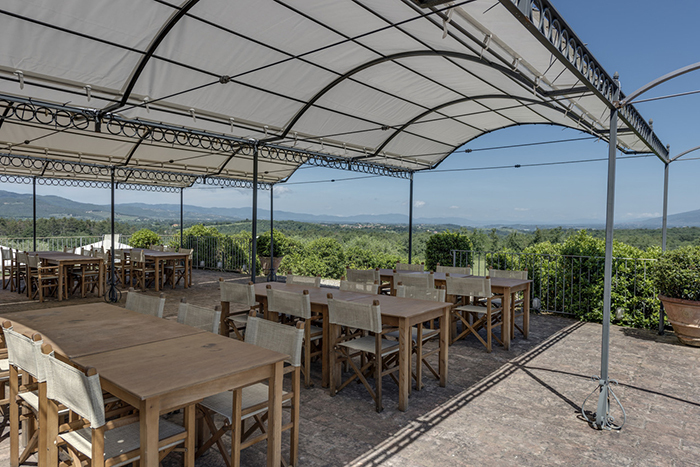 There is a wine bar & restaurant close by where you can enjoy the estate wines or have a tasty Tuscan breakfast or dine in the evening. 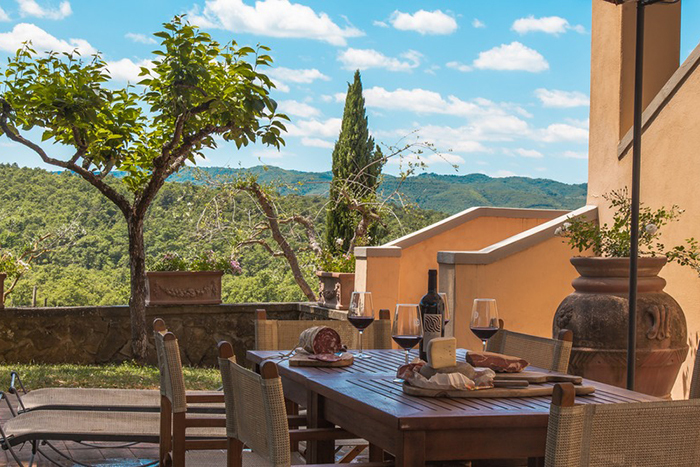 There are open views towards the rolling hills in the distance and a pretty nearby tower that sits high on a hilltop. 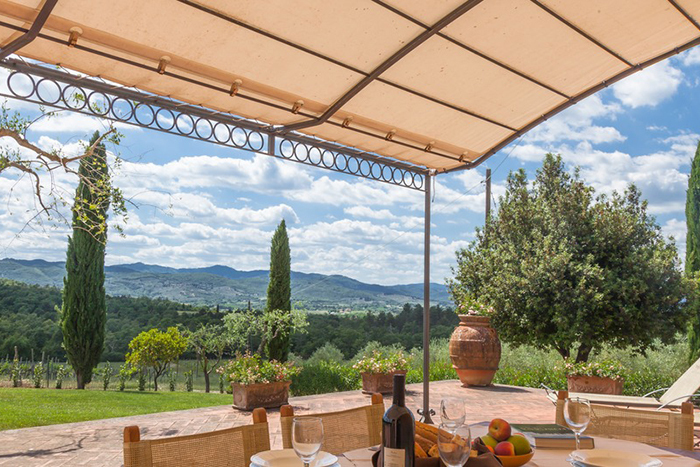 The property has undisturbed views for miles around. 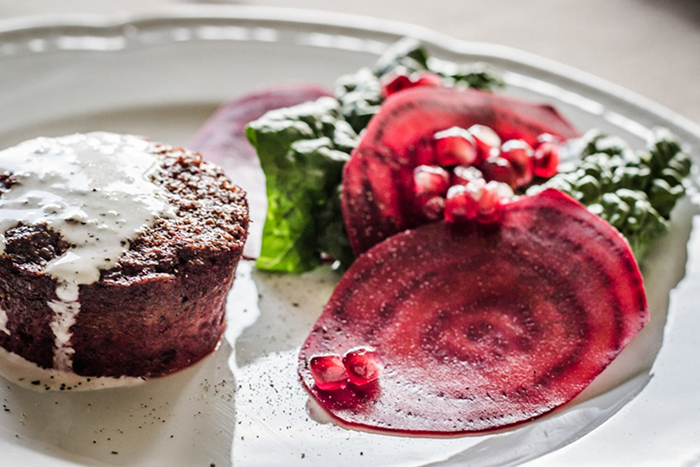 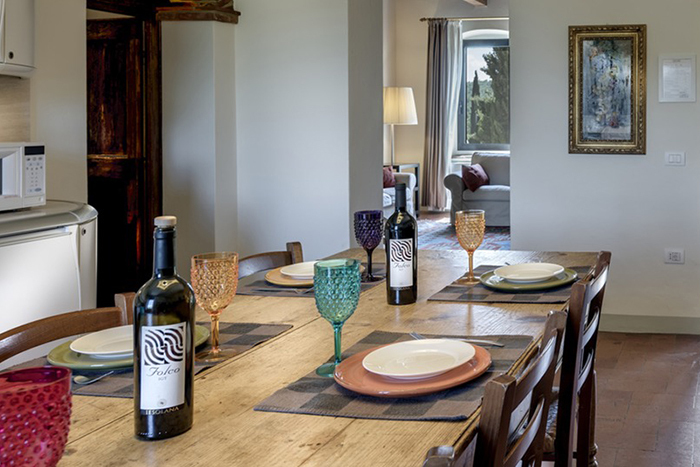 Breakfast, lunch and dinner, wine tastings, cookery lessons. 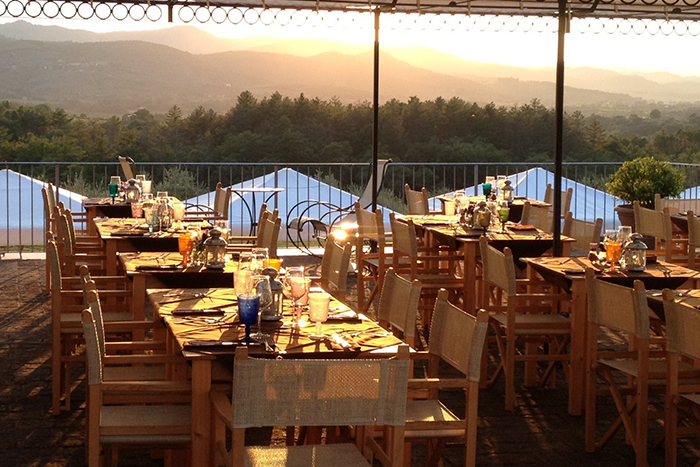 Meeting room for weddings, parties, yoga groups, meetings - price on request. 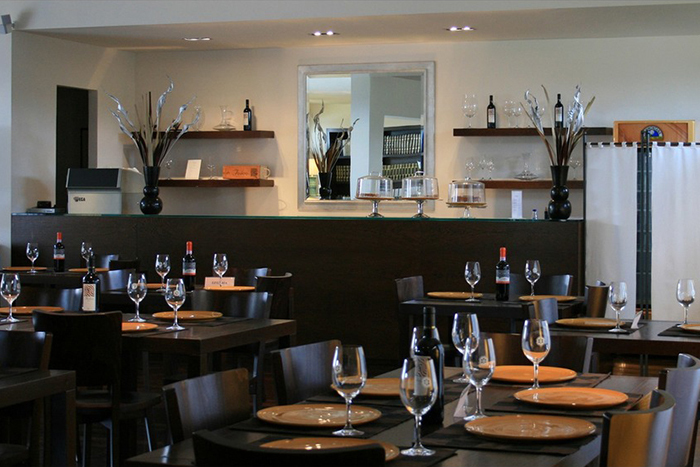 There is designer outlet shopping available locally – Prada. 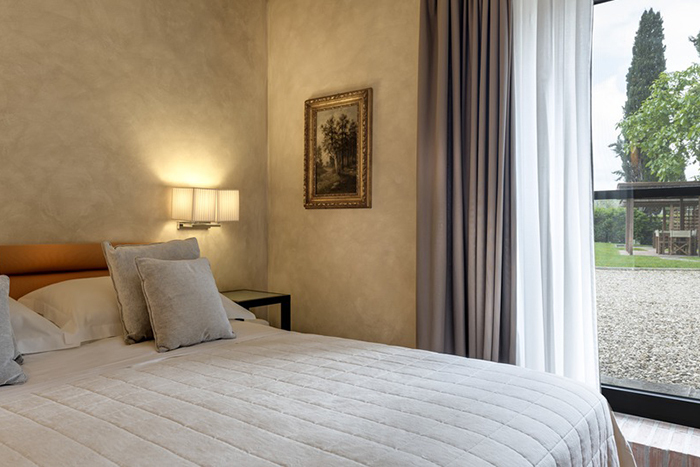 Within easy reach there is more designer outlet shopping including Gucci, Armani, Ferragamo, Dolce & Gabbana and many more.